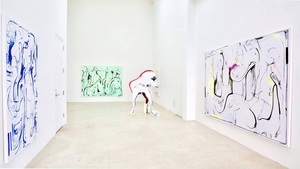 Hong Gyu Shin founded Shin Gallery in 2013 on the Lower East Side. The program roster primarily showcases the works of emerging and mid-career international artists, while also intermixing group and solo shows of established and rediscovered artists. 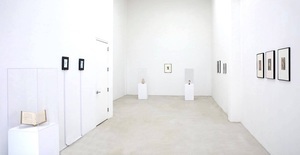 In addition to the main gallery’s exhibition schedule, Hong Gyu Shin also operates a unique space located alongside the main gallery known as Shin Gallery Project Space. This space features experimental and immersive exhibitions and has also previously been imitated into the studios of Martin Kippenberger. 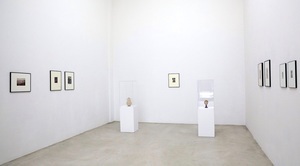 Some past successful shows include Salon de Mass-age, an exhibit setup to mimic a shady massage parlor, showcasing the works of Nabuyoshi Araki and Rudolf Schwartzkogler; as well as a converted CBGB bathroom installation featuring works by Hemmershoi, Balthus, Burga, Dali, and Hyon Gyon. Since the gallery’s opening, it has launched several of its emerging artists into the international limelight. Shin Gallery continues to dedicate its space to helping launch its emerging artists into the international art sphere, while providing a local platform to help make art more accessible to the New York public.